This YA novel which sold in 16 languages before publication and was acquired after a multi-publisher auction is original and at most times frustrating in the extreme. The problem is the nature of affliction which the book’s protagonist, Flora Banks, suffers from. She has anterograde amnesia which she has been told is the result of an operation to remove a tumour on her brain when she was ten years old. 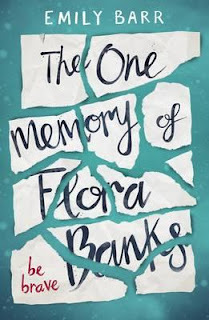 From then on, the now seventeen-year-old, Flora retains those memories she has up until she was ten, but after that she can’t remember anything day-to-day. When her parents head off to France to be with her older brother Jacob who is seriously ill in hospital, Flora decides she wants to see if she can exist by herself: ‘I want to be allowed to live inside my memory.’ She has recently sacrificed her friendship with Paige, her best friend since kindergarten when she kisses Paige’s boyfriend Drake who is heading off to the Arctic to a place called Svalbard. Paige, who has been a constant and very caring friend until what she sees as Flora’s betrayal, is supposed to be with Flora when her parents go away. But, wounded, Paige is not around. While living alone, Flora receives a text message from Drake who says he is missing her. Many emails pass between them before Flora’s parents are due to return. But when they fail to do so – feeling that Jacob needs them more than Flora does, and confident that Paige is caring for Flora – the headstrong and in-love teenager decides to fly to Svalbard to be with Drake. Naively, she believes that her mind will work when they are again reunited. The second half of the book is easier to read than the first half. Perhaps the reader has managed by then to accept the fact of memory loss and the need for constant repetition. But, too, the second half has more interesting people and places in it, and more physical action. Eventually Flora – and the reader -- comes to realise that her whole being and her experiences are built on lies. Even her obsession with Drake turns out to be built on a lie: the one memory – that she kissed Drake and they are both in love – is false as well. This is a highly unusual book which is very cleverly written. It certainly makes one thankful for a mind that is constant and not subject to fragmentation and loss. The characters in it – Flora, her parents, Jacob, Paige and the others who people the story – are all real and believable. 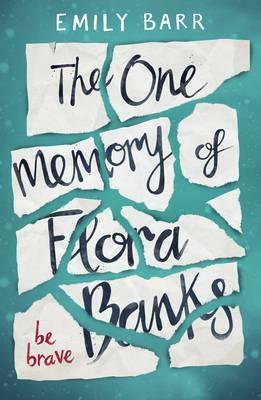 Teen readers who are challenged by books which are ‘different’ and difficult to read will certainly enjoy Flora’s story.